This post is sponsored by Snack Pack®. One of my daughter’s favorite treats in her lunch box has been the Back to School Snack Pack®. Since we are more than a month into school, I wanted to change up the theme of her lunchtime treat. Halloween is my daughter’s all-time favorite holiday. We spend a month putting together costumes and decorating our house. This year, we happen to be moving right before Halloween, so we haven’t been able to decorate like we normally do. 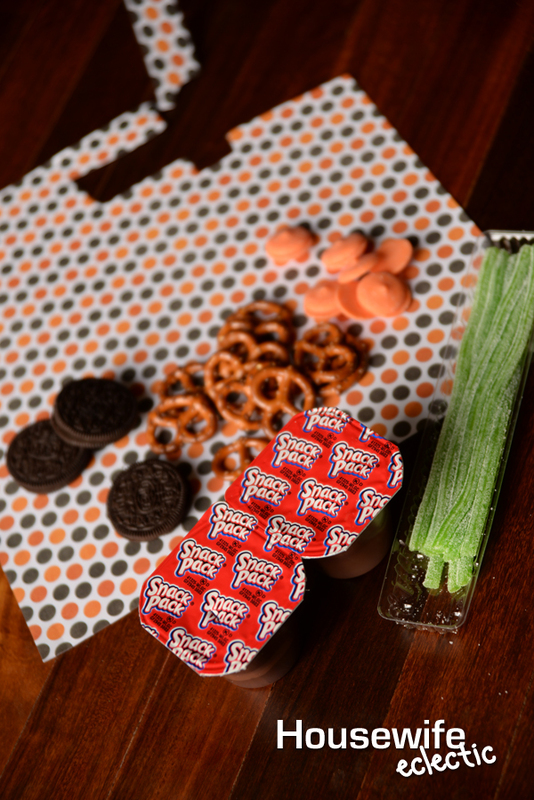 To make up for it, we created this extra-special Snack Pack® for her lunch box. It was easy to make and she loved helping! Put the orange chocolate in a bowl. Microwave for about 30 seconds and then stir. Repeat, microwaving for 30 seconds, and stir until the chocolate is smooth and melted. Dip the pretzels in the chocolate and then flip over to get the pretzel completely covered. Place the pretzel on wax paper. While the chocolate is still drying, pinch off a piece of sour straw and add it to the pretzel. This will serve as the pumpkin’s stem. Place a couple chocolate cookies in a plastic bag. You can use chocolate cookies with cream, just scrape the cream off before you put the cookies in the bag. Smash the cookies until they look like dirt, and sprinkle the crumbs on top of your Snack Pack®. 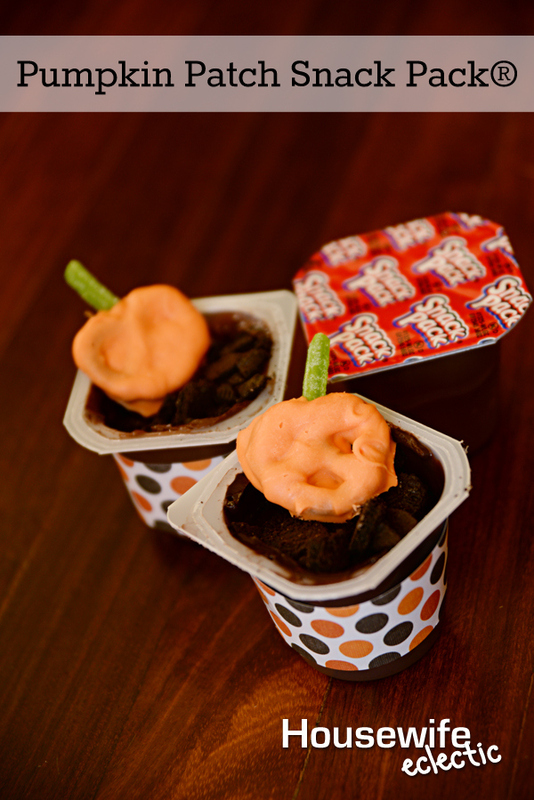 If you desire, wrap a small piece of Halloween scrapbook paper around the Snack Pack® and secure it with tape. Add the chocolate pumpkins to the dirt for a delicious treat! Usually when I send this treat to school, I put the Snack Pack® and the toppings in her lunch separately and let her have fun creating the treat herself! 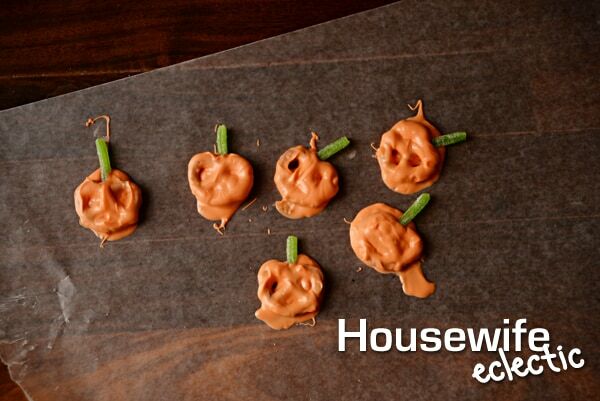 This Halloween take a moment to slow down and enjoy a tasty and fun treat with the kids. Snack Pack comes a variety of flavors and offers endless mix-in opportunities the kids can help prepare. Each serving of Snack Pack is fortified with as much calcium as an 8-oz glass of milk,* so you can feel good about serving your kids Snack Pack. For mix-in inspiration, visit Snack Pack on Pinterest(pinterest.com/snackpack) and Facebook (facebook.com/SnackPackPudding). ** All Snack Pack products contain 30% DV calcium, with the exception of Bakery Shop Lemon Meringue Pie, Lemon Pudding, and Snack Pack Gels. This is too cute! I love chocolate covered pretzels! I love fall time, especially Halloween-themed snacks! This was such a cute post, thank you for sharing! simply an adorable idea for this upcoming Halloween – perfect for any gathering you might have with friends! I would have to remind myself not to eat my "spoon" first! What a great surprise treat for my kiddos! 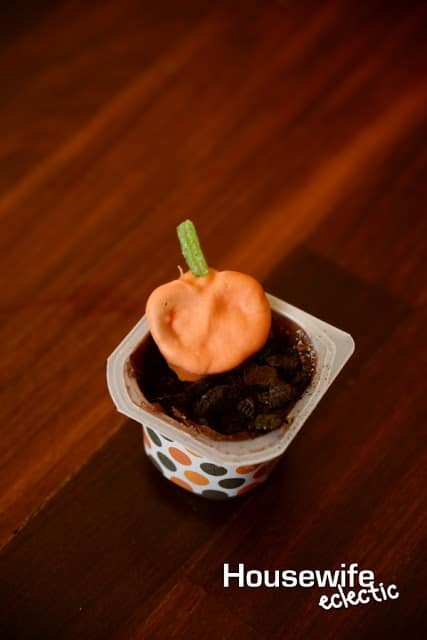 What a cute and fun snack for the kiddos. I can't wait to make this for my girls. These are adorable! My kids would love them. 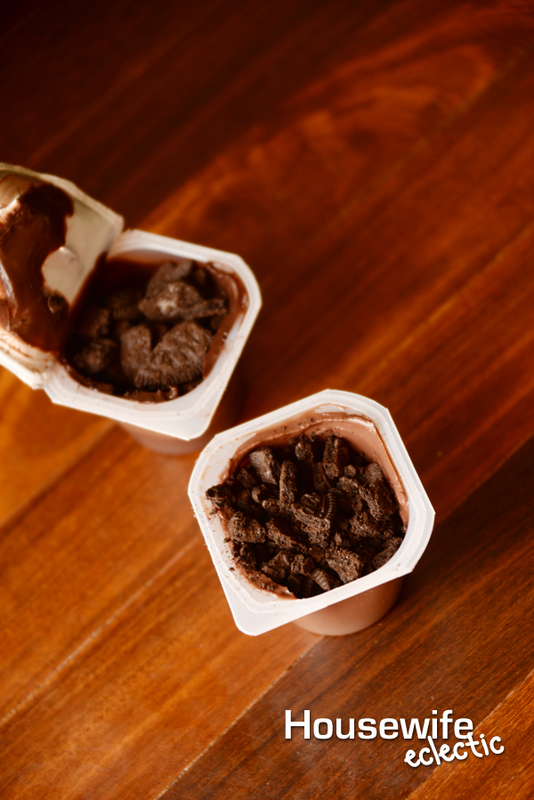 I love all the things you can do with a Snack Pack. My husband made a candy graveyard snack pack for our son this week. Your pumpkin patch is adorable. great idea.would be cool for a class treat. This is the cutest idea. I love chocolate covered pretzels and these are so creative. Great idea! Very clever idea! I hope that you are enjoying your new place – moving is such a big job! Oh this is just so sweet! I bet my kids would seriously love this! I never looked at a pretzel and thought to myself that it's the perfect shape for a chocolate covered pumpkin. That is so clever – love the sour straw stem. Omg cutest Halloween treat ever!!! My daughter would love it if I were to make her something like this! That is so adorable, so cute.